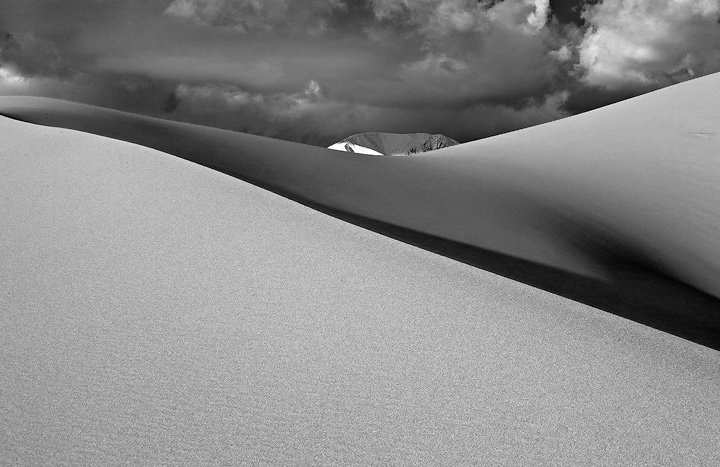 Quick trip to the dunes Nov 8, 2011, after a fresh snowfall hit the Sangres. 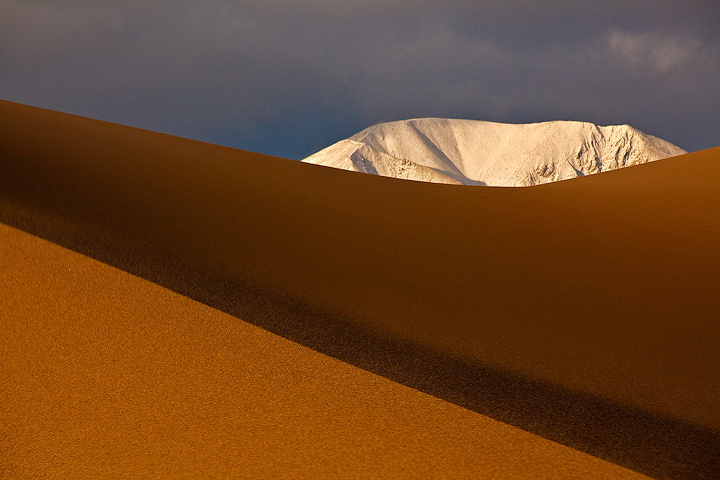 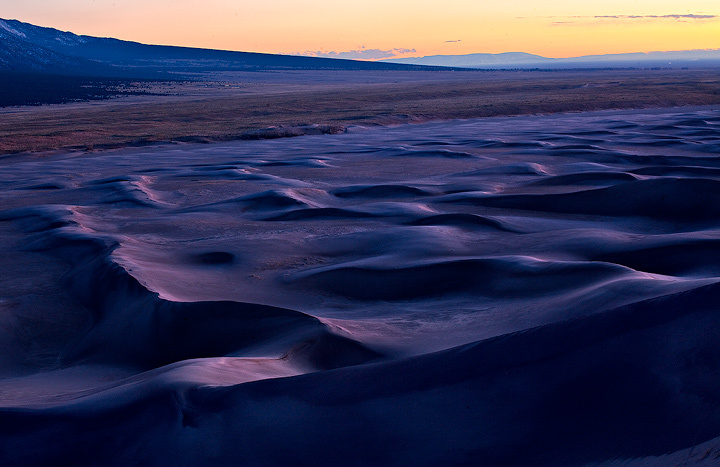 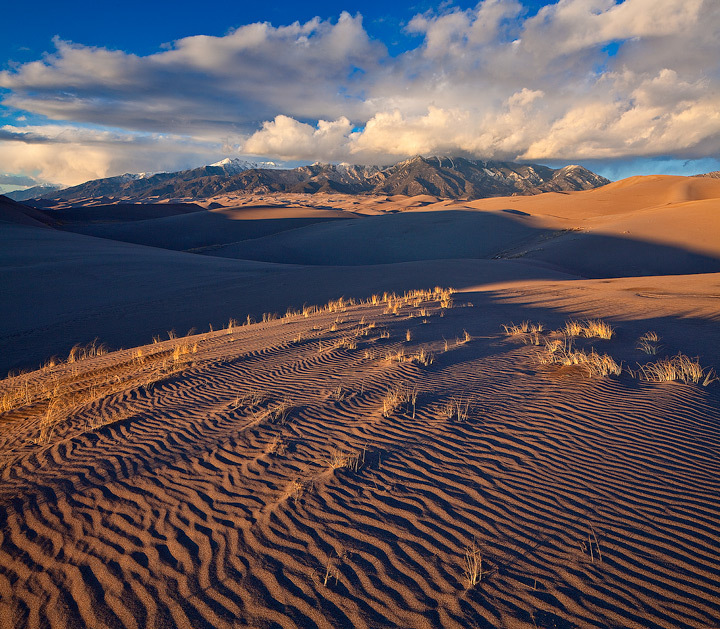 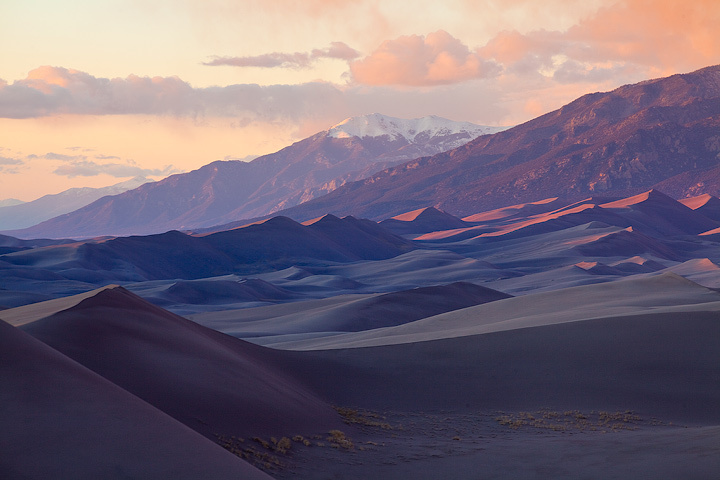 Snow-capped Sangres appear behind a dune crest. 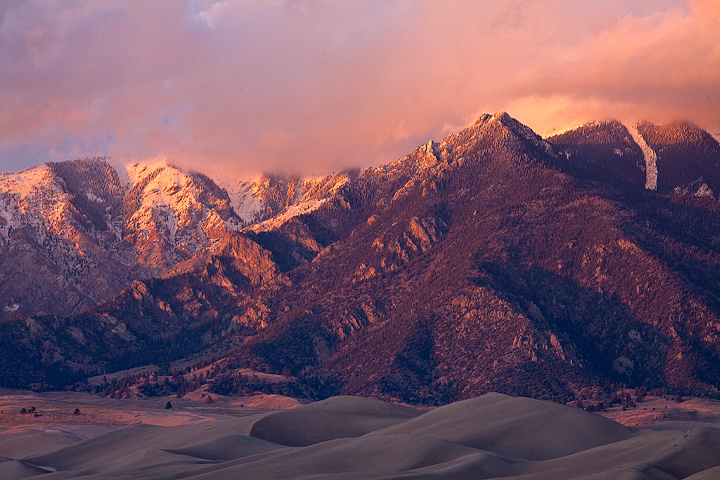 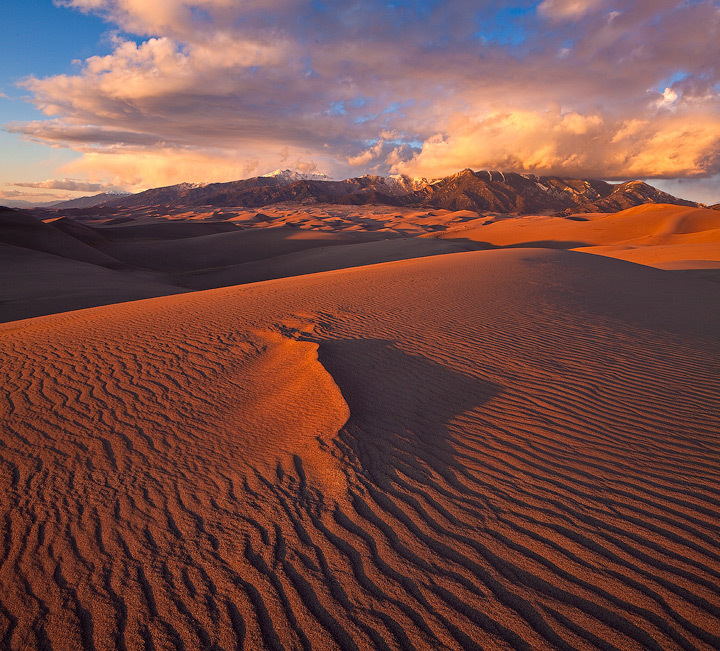 Colors explode at sunset over the high dunes. 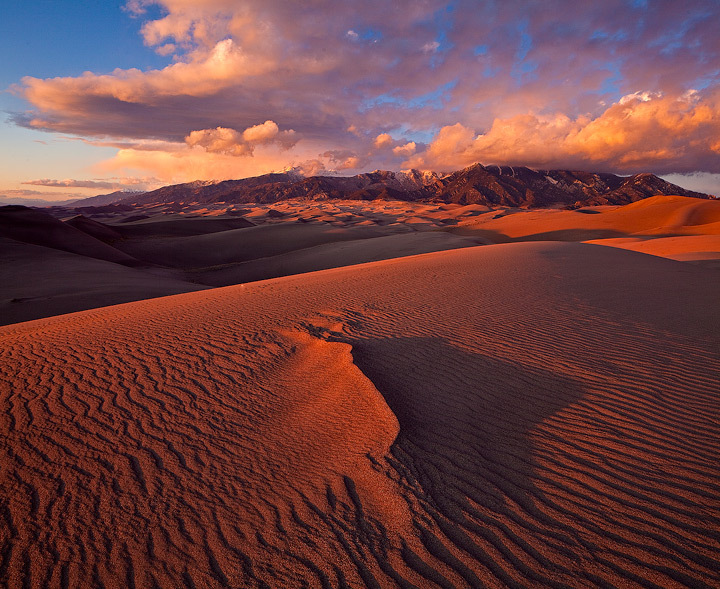 Beautiful sunset from the top of the dunes.